Tamaño de esta previsualización: 800 × 589 píxeles. Otras resoluciones: 320 × 236 píxeles · 640 × 471 píxeles · 1024 × 754 píxeles · 1280 × 942 píxeles · 3560 × 2620 píxeles. 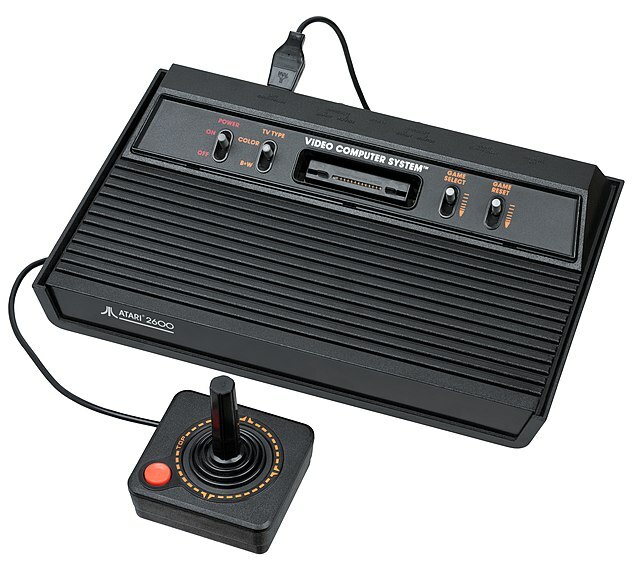 English: An Atari 2600 video game console, shown in all black. Also known as the "Darth Vader" version that came after the wood veneer version. Special thanks to retro and import video game store 8-Bit & Up in Manhattan for providing the item above to be photographed for Wikipedia.